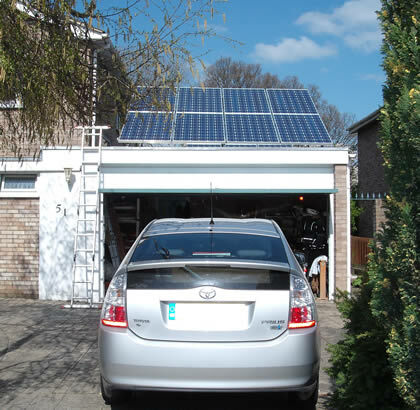 The image shows an installation serving a property in a built-up area. 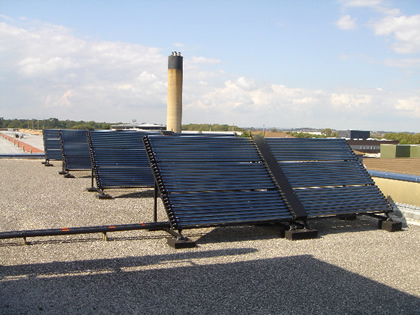 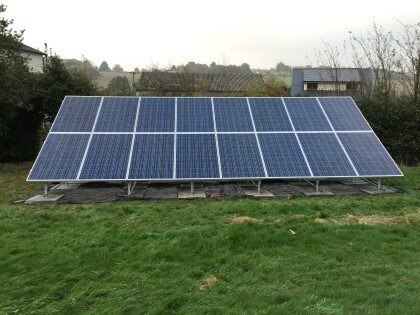 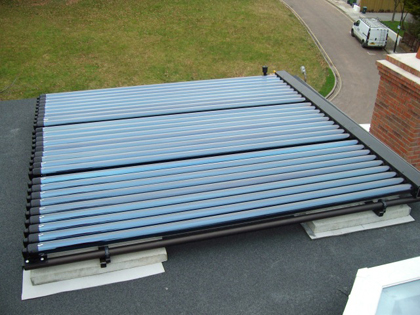 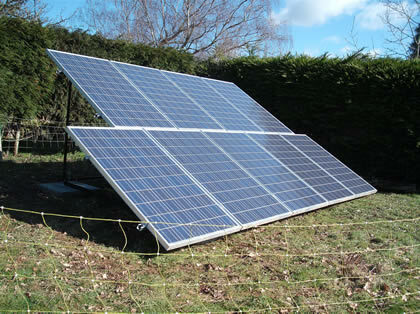 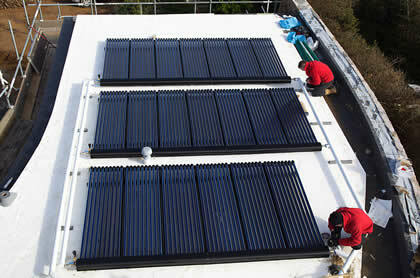 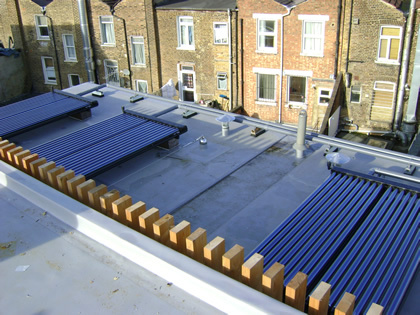 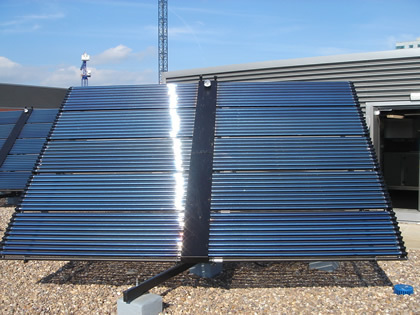 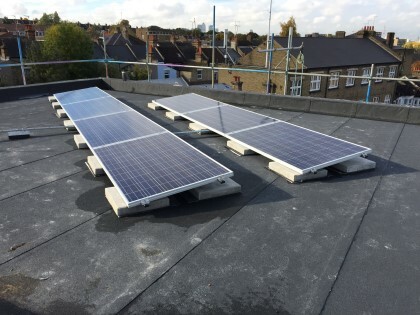 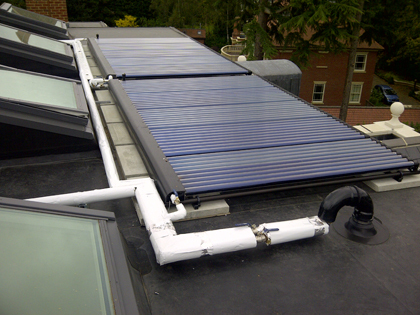 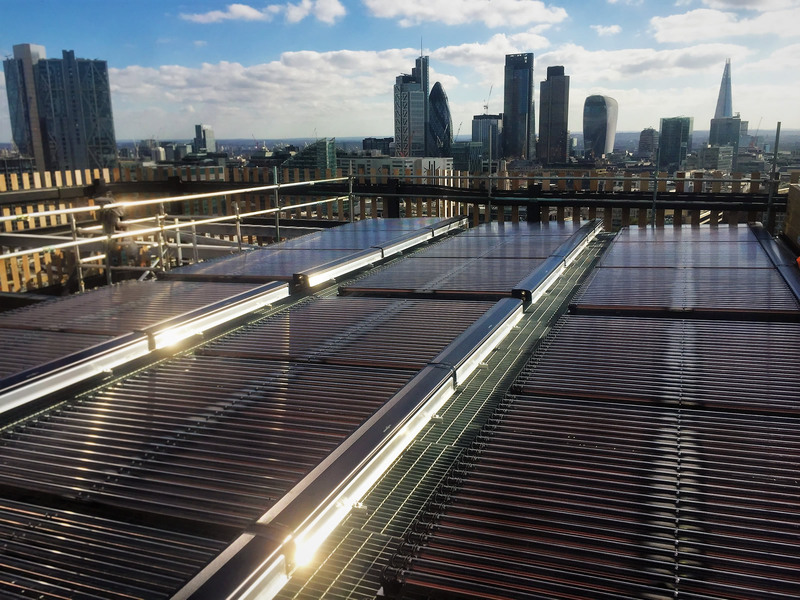 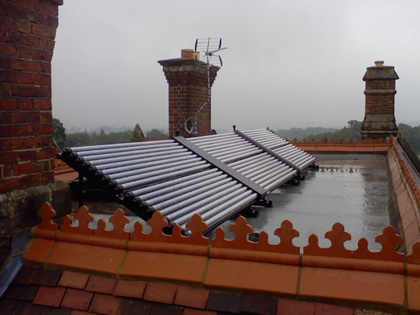 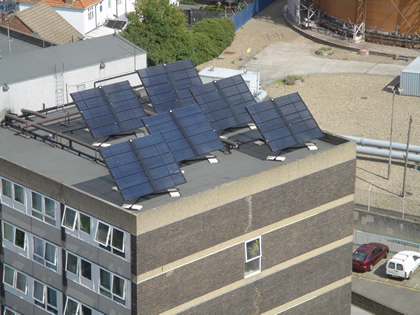 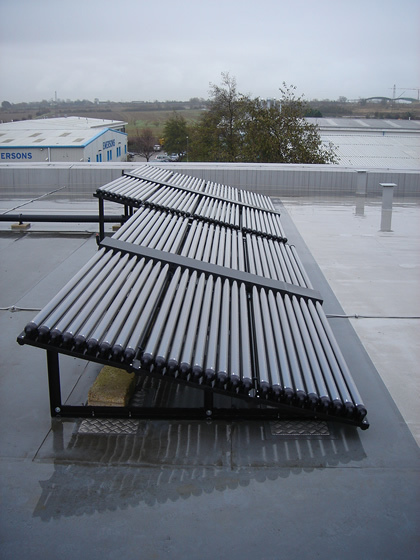 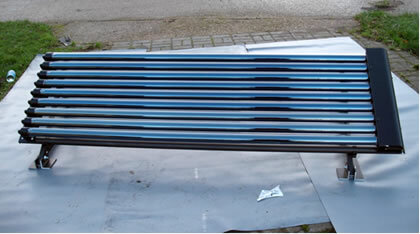 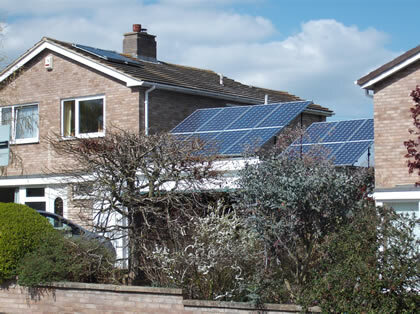 The solar water heating system is positioned to be nearly invisible. 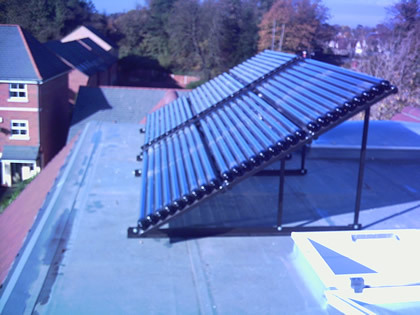 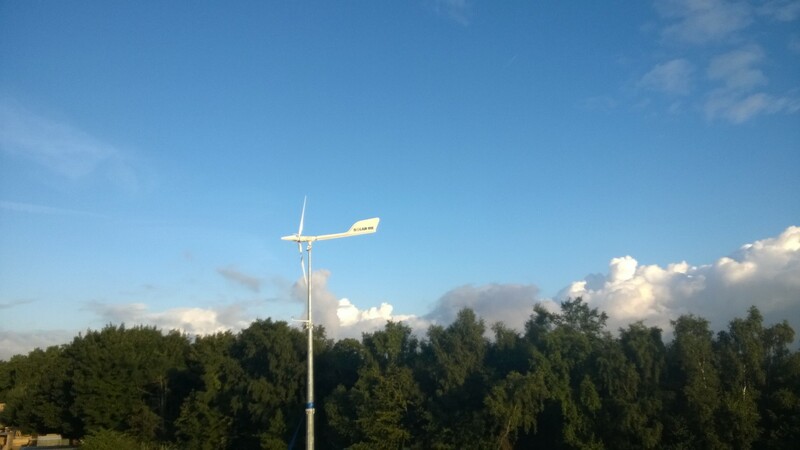 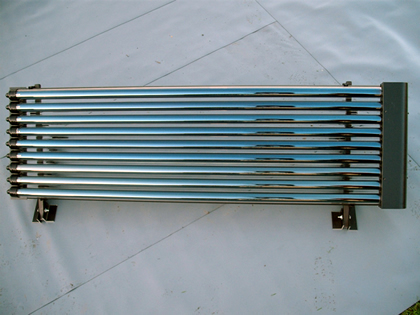 The image was taken very late in the day at the finish of installation as the sun was setting; the tubes are oriented East - West so the length is exposed to the sun gaining maximum energy.